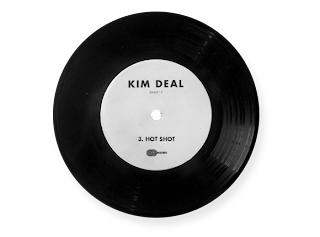 Kim Deal is set to release the second 7" in her solo series April 29th. 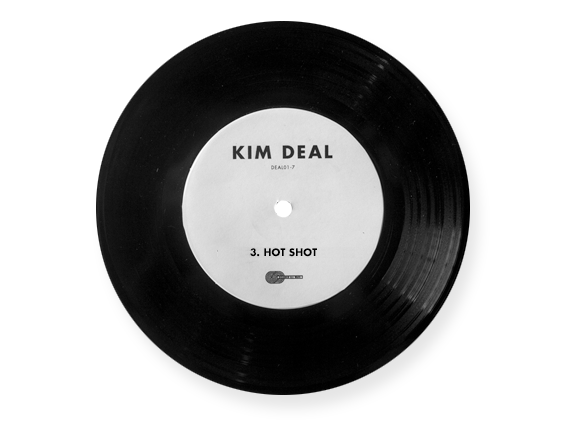 The new single, "Hot Shot" b/w "Likkle More," is available as a limited edition 7" and digital download through Kim's official store starting at 12:01 am ET Monday morning. Additionally, the standard 7" release of Kim's first single, "Walking With A Killer" b/w "Dirty Hessians" will be released in July with new artwork (the white label, autographed, limited edition version sold out in January) and is available to pre-order. To order either 7" visit Kim's official website and digital versions are up on iTunes and Amazon.